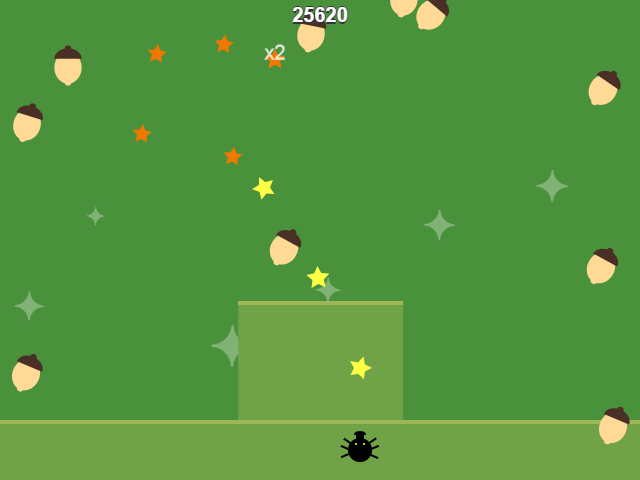 Try to survive as star-shooting beetle while acorns fall from trees. This is a remake of one of my all-time favorite mini-games from a classic, Mario RPG. Consider this a small tribute to what I consider one of the best, yet lesser-known games in the series.